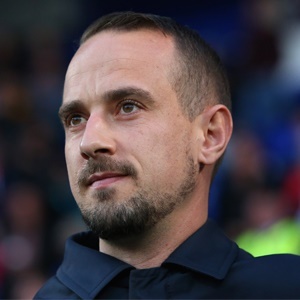 London - English Football Association (FA) bosses faced calls to quit on Thursday over their "shambolic" handling of the Mark Sampson affair as Britain's sports minister urged the organisation to sort itself out. A report released during a British parliamentary committee hearing on Wednesday found former England women's coach Sampson had made racist remarks to players Eniola Aluko and Drew Spence. A flawed FA internal review and an earlier inquiry by barrister Katharine Newton had cleared Sampson over allegations of bullying and discrimination by Chelsea Ladies striker Aluko. Former England striker Gary Lineker tweeted: "Damning and damaging for FA with total vindication of @EniAlu." Black former Arsenal and England striker Ian Wright tweeted the FA to say: "Rome is burning!" FA chairman Greg Clarke, chief executive Martin Glenn, technical director Dan Ashworth and human resources director Rachel Brace appeared before the Culture, Media and Sport committee. Over two hours, lawmakers on the committee pulled apart the FA's handling of the allegations that pre-empted Sampson's dismissal last month. The officials were grilled about what checks were made on Sampson before he became England manager and why the FA was withholding half of an 80 000 settlement owed to whistleblower Aluko. Aluko said the request was "bordering on blackmail". Panel chairman Damian Collins said the FA officials should consider their positions. "Yes, I think they have to look very carefully at the evidence given," said the Conservative politician. He added: "The question should be: does what you've seen today inspire confidence and do they understand the issues well enough to put in place the right systems to ensure it doesn't happen again? British sports minister Tracey Crouch said she hoped the FA "learns lessons from this whole sorry saga to ensure that all in the sport and the wider public have faith in their processes and procedures". "We have been clear that we expect world-leading standards of governance from all our national sports governing bodies," she added. "This is why, alongside (funding bodies) Sport England and UK Sport, we have drawn up a new code for sports governance that all publicly funded sports bodies, including the FA, must adhere to." The FA apologised to Aluko, who attended Wednesday's hearing in London, after Newton's second report found Sampson had made discriminatory remarks to her and team-mate Spence. Sampson was found to have told Aluko to make sure her Nigerian relatives did not bring the Ebola virus with them when they attended a friendly between England and Germany at Wembley in November 2014. He asked Spence, who is mixed-race, how many times she had been arrested. Sampson was sacked last month after it emerged he had engaged in inappropriate behaviour with female players in a previous role. As the fallout from the Sampson affair spread, the head of the Professional Footballers' Association, which represents footballers in the United Kingdom, chided the FA for ignoring Aluko's concerns. "They didn't listen to her then. They're still not listening," Gordon Taylor told the BBC. Glenn refused to accept the FA's entire response was flawed, while Clarke would not apologise personally to Aluko. Labour MP Jo Stevens told Clarke his attempt to justify his actions as an example of good governance was "shambolic". Capped 102 times, Aluko has not played for England since first complaining about Sampson, but interim head coach Mo Marley said the door was open for her. "I want to give everybody that opportunity, that if you're playing well ... and you're getting good talent reports, then I'm in a position where I can actually explore that and look at that," Marley said. Instead of trying to silence @EniAlu the @FA should give this impressive young woman a voice to change things from within the institution. Rome is burning @FA ! You know where I am. If you’re not part of the solution, you’re part of the problem! I don’t want to feel like that. ? ?